In the world of spirits there was no obstacles between servant and Allah. This is why even the disbelievers said ‘You are our lord, o Allah’. However, when we came here to this dunya, barriers have been erected for our test. The following four major obstacles face a slave of Allah. Which stops him from his remembrance and servitude. 4) the creation more specifically the humans. If someone knows how to cure himself from the four major obstacles/diseases of life, he will once again say “You are my lord o Allah and no one else”. This will lead him to live by the laws of Allah without question. When a person knows the limitations of the above four he will see the reality of things. This will allow him not to become a victim to the onslaught of attacks by the dunya, nafs, devil or creation. To be successful in the test of life, we must change the compass of direction we are facing. We should change our compass of direction to face Allah. Then we will head towards that direction, the path of righteousness and servanthood. 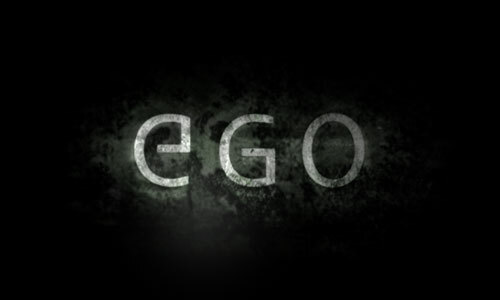 One of the major obstacles (out of the four mentioned above), facing humanity is the nafs, (ego). Majority of humanity are enslaved to this miasma. The nafs has put up a mirage of pleasure and satisfaction in front of our eyes. In reality there is no lasting pleasure but a sample if that. Before a person can settle himself to taste the pleasure of a fruit, big house, or money etc. It is gone before he can really enjoy it. Our ego has led us to believe if we do not experience a certain pleasure in the world we will lose out; If we do not look at a woman, or get to live in a big house we will lose out. No! By Allah, we will get our recompense in paradise. Where the pleasure and satisfaction will be a 100 times better. A student of a saintly person, a very highly ranked friend of Allah. Came to him and said ‘i am in a very big predicament, the nafs is overwhelming me. At times I believe it is impossible for me to do tazkiyah. I am finding it hard to control it and bring it under my control’. In short, it was explained to him: ‘when a being enters the house of someone else without permission, then the owner of the house will undoubtedly hassle the intruder and want him out. In this regard, heedlessness is the kingdom of the nafs. When someone enters it’s kingdom it will harm/overwhelm a person. It’s treasures are jealousy, hatred, love of dunya etc (diseases of the heart), when some entertains these traits, they are stealing the treasures of the ego, so it comes into the life of a believer to tempt him towards evil and interrupts his life’. The student was told If a person avoids entering into the kingdom of the nafs and stealing its treasures. The ego will not interfere and stop a person from worshipping Allah. Or, tempt him towards desires and disobedience. The four major obstacles all have their limitations, they are not invincible, without limitations. When a person enters the kingdom of Allah the nafs will stay away from tempting the him away from his remembrance. What is the kingdom of Allah? This is staying in the constant remembrance of Allah (hudur ma’Allah). He should enter the kingdom of the prophet (sallahu alihi wasallam) which is the sunnah, and not enter the kingdom of nafs (ego). A servant of Allah should take from the treasures of the prophet (sallahu alihi wasallam), the prophetic traits like not have hatred, arrogance, jealousy, not to love the dunya etc. By entering into the kingdom of Allah and the prophet (sallahu alihi wasallam), and not taking from the treasures of the nafs. We will become free from its interfering into our lives and distracting us from correctly worshipping Allah and becoming a true human being.